Close to 6 million U.S. children under 18 years old have food allergies, with peanuts as the most common allergen. And Food Allergy Research & Education reports that nut allergies alone have more than tripled among U.S. children in 10 years. Food allergies are still on the rise; and people who are at risk need to be hyperaware of ingredient labels and cross-contamination, especially since close to 200 foods are linked to allergic reactions. Snacking should be a worry-free experience for everyone, and that’s where Homefree comes in. The Windham, NH, company has a Safe Quality Food certification and makes mini-cookies that come in a variety of flavors, such as vanilla, ginger snap and chocolate chip. These treats are non-GMO verified and allergy-free, containing no dairy, eggs, wheat, nuts and gluten. Founder and President Dr. Jill Robbins was a clinical psychologist for 13 years before she developed her wholesome brand. She focused on baking when her son was diagnosed with food allergies, believing that everyone should be able to enjoy tasty treats – with or without a special diet. Today, Robbins’ product has received high recognition as Best Allergy-Friendly Packaged Foods by Parents Magazine, Best Gluten Free Cookies by The Good Housekeeping Research Institute and a Recommended School Snack by the Today Show. As a Certified B Corp, Homefree is committed to environmental and social responsibility. “We have one earth. If we are not the stewards, who will be?,” says Robbins. Aside from providing consumers with clean ingredients, her company packs its cookies in cartons that are made locally – and with certified wind power. We asked Jill about Homefree’s allergy-friendly commitment, the goal behind her “better for you cookies” and what inspires her leadership. How does your company stay allergy-friendly in the production process? Why should consumers opt for allergy-friendly snacks like Homefree cookies? “If a consumer doesn’t need allergen free, and is shopping for himself or herself, there is no need to opt for foods that are allergen free. But I don’t think of Homefree cookies as ‘allergy-friendly cookies’ or as ‘gluten free cookies,’ even though of course they are. Rather, I think of them as good cookies, and as ‘better for you cookies.’ Many people buy Homefree cookies simply because they taste great and are wholesome. In fact, Homefree cookies have won awards as regular good cookies, having nothing to do with being special diet. 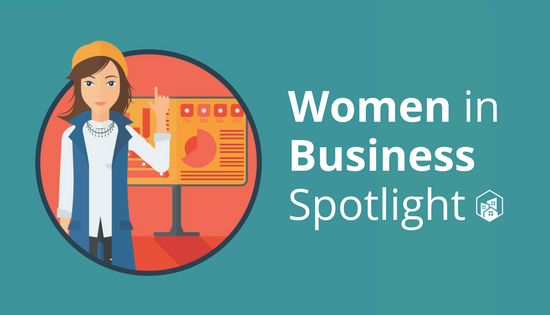 How has being a woman in business influenced your vision and leadership style? “I’m not sure how much is gender-related, but certainly much is related to being a parent. I left my profession as a clinical psychologist in order to help meet the needs of my food-allergic son, and of the many other people with special dietary needs. I wanted to make it easier for everyone to be able to join in socially together when treats are served, for everyone to feel like they matter as an important part of the family or group.